We apologize for any inconvenience this may cause. We should have this problem fixed within 48hrs. 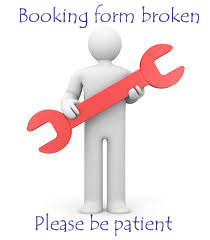 Please email info@dancingground.org with your name and we will email you when the booking system is working.